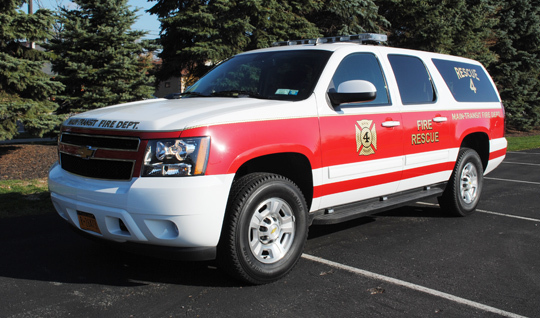 Rescue #4 is a 2012 four wheel drive Chevrolet Suburban with seating for five firefighters. It carries a full complement of emergency medical equipment including a defib unit and basic life support equipment. This vehicle responds to all EMS calls and motor vehicle accidents out of Station 1.